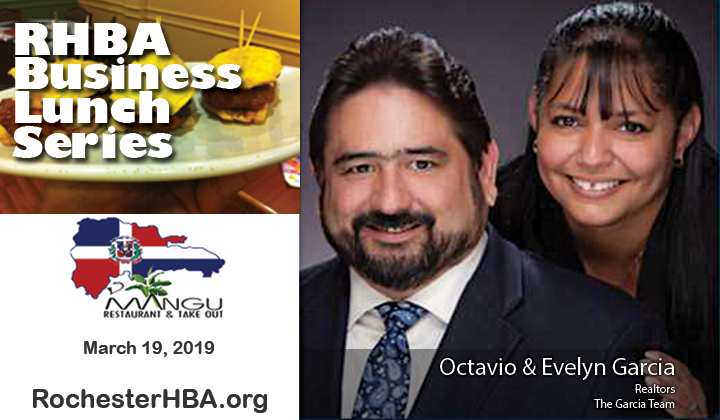 Join us at D’Mangu Restaurant for our March Business lunch event featuring Octavio and Evelyn Garcia! Husband & wife team serving the Monroe and surrounding communities since 2002, parents to two sons, a 25-year-old graduate in Theatre Performance Arts from Niagara University and a 19-year-old college student also at Niagara University, also majoring in Theatre Performance Arts. Prior to joining the team full time in 2016 Evelyn worked in the non-for-profit world for over 10 years as a Senior Housing Counselor \ Foreclosure Prevention Specialist. Today besides being the Secretary \ Treasurer of our business she is also the chairwoman for The Realtor Charitable Foundation (RCF). One of her greatest accomplishments has been to create a new grant in the organization which will provide 1st time buyers with down \ payment closing cost assistance, RCF has also donated over $800,000 since its inception to organizations helping the homeless among other organizations in our community. Before becoming a real estate agent Octavio worked for a financing company in NYC, financing New York City Taxi Cabs, serve in the United States army and the NY-NJ Army National guard for a combined total of 16 years, also worked as a Manager for Circuit City Stores. Moved his family to Rochester his birth home where he has served the public as an Associate Real Estate Broker with Howard Hanna. 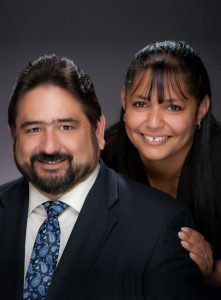 The Garcia Team has successfully closed over 445 transactions of buyers and sellers, over 80% of those transactions have been serving the Latino community. Their association with non-profit organizations such as The Greater Rochester Housing Partnership, The Rochester Housing Development Fund Corp, NCS Community Development Corp and others have allowed them to assist in bringing New Homes, remodeled homes and or assist home owners in obtaining grants for repairs. They also volunteer as presenters in the Home Buyer education program provided by PathStone. They are ardent advocates of homeownership as it provides added privacy, security, pride of ownership and an excellent base for proving financial security. I understand that a reservation will be made at the restaurant for me and my guest(s). No refunds. If not able to attend, another person can be send in my place.